The Funko Thor Ragnarok Mystery Minis release brings the extraordinary characters from the MCU film in fun-size collectible form. Including various retail-specific options, the initial series offers nearly two dozen figures. 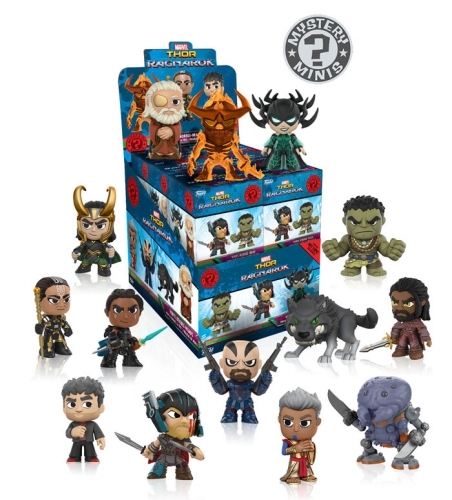 Coinciding with the Funko Pop Thor Ragnarok set, the miniature options for Bruce Banner, Heimdall, and Hulk mirror their larger Marvel figures. Of course, there are multiple versions for the god of thunder, including bloody Thor along with the prince holding Mjolnir. Additionally, collectors can find a few subjects who are not (yet!) included in the Pop! Thor Ragnarok lineup, such as the Grandmaster, Odin, and Skurge. 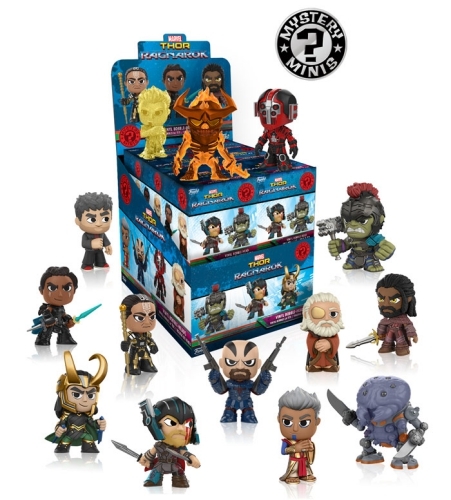 Like many of these blind-box products, Funko Thor Ragnarok Mystery Minis is made tougher given that there are at least six exclusive options—at two separate locations—as part of the full series. 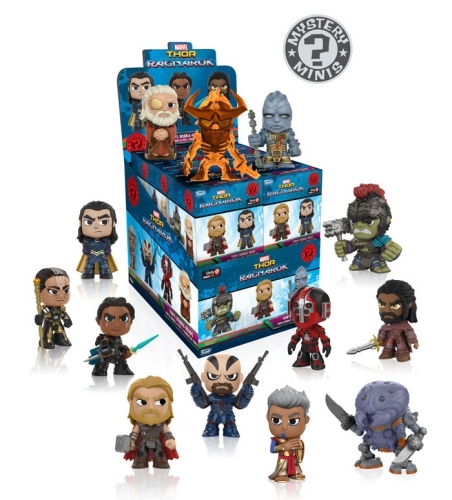 Korg, Loki wearing his blue Sakaar attire, and Thor with his mighty hammer, are among the GameStop figures. Meanwhile, the Fenris Wolf, Hela, and Hulk, à la Planet Hulk, can be located at Hot Topic outlets. Known odds are noted below. Exclusive figures for GameStop and Hot Topic are noted below. View related Thor options with our other Funko guides.